What are non-restricted and restricted firearms? There are two different Canadian Firearms Safety Courses - one for non-restricted firearms and one for restricted firearms. 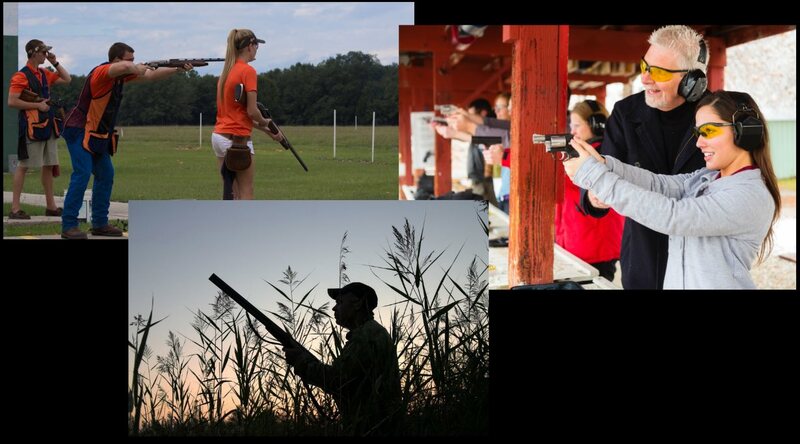 The non-restricted certification is required to purchase rifles, shotguns and ammunition. The restricted certification is required to acquire a handgun for target practice, competition shooting, or for part of a collection. Will there be any hands on training? Will I actually be handling real firearms? Yes! Roughly one half of this course is hands on training and caters to beginners, all the way up to the experienced user. You will learn how to safely handle 6 types of firearm actions including the ammunition. You will be using disabled firearms and dummy ammunition. A “disabled firearm” means that the gun has been mechanically altered in such a way that, if live ammunition were put onto the gun, it would not fire. As a double safety measure, only dummy ammunition allowed into the class room. This course is 100% safe. Why are both non-restricted and restricted courses put together? When you read the Canadian Firearms Safety Course Manual and the Canadian Restricted Firearms Safety Course Manual, you will find that the two books are very similar. As a result of this, we combine both courses for the price of one. If you do not wish to have a restricted classification on your licence, you would simply send in your application for the non-restricted portion only. How are these courses run? Courses are loaded on a first come - first served basis. We are conducting courses on an average schedule of 2 per month. Courses run four consecutive nights, held over one week starting on the Monday night and ending on the Thursday night. Each class begins at 7:00pm and ends approximately at 10:00pm. The exams are scheduled for the Thursday night. You are not required to bring anything to the class. The course manuals are available to download free and should be read prior to attending this course. You don't have understand everything in the manual, but it's a good way to familiarize yourself with the topics we will cover. A link will be sent to you via email when you register for the firearms course.